Follow our progress toward an Olympic dream! **Update: We did it!! We qualified! We are Rio bound!! Some are calling it “The Road to Rio.” Some are calling it #RumbleInRio. Whatever you call it, I call it chasing my dream. 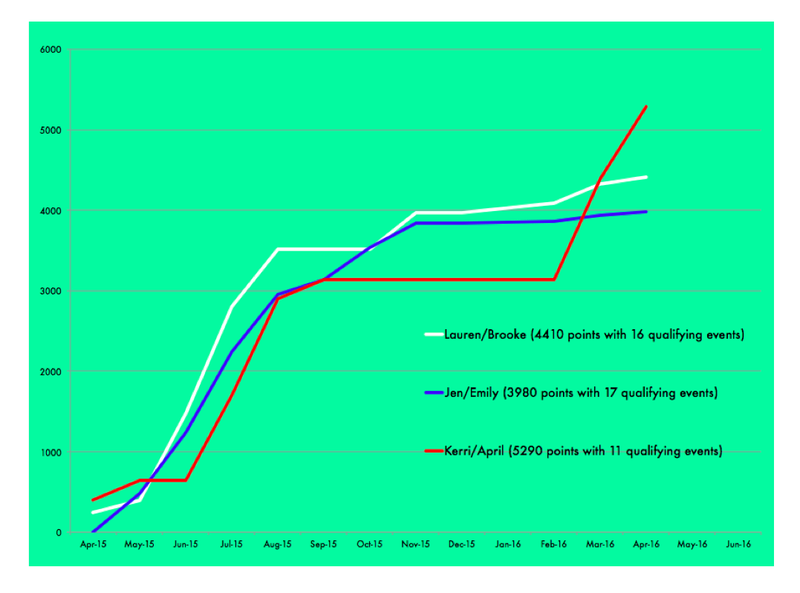 With the above graphs you can follow along on the Olympic Points Race among the US teams. 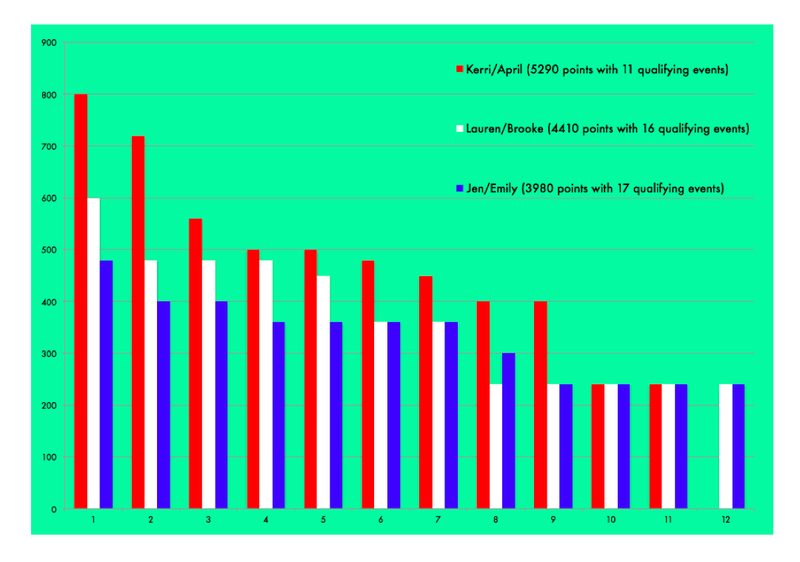 The first chart shows point totals by month and the second chart shows Olympic points by finish. The second chart helps show what tournament finishes can be replaced once a team has more than 12 events. (Olympic Ranking will count a teams 12 best finishes from January 1, 2015 to June 13, 2016). Go white line!